This type of single marker gravestone is level (lawn level or flush) with the ground and usually measures 4" thick. Some cemeteries only allow these types of headstones. 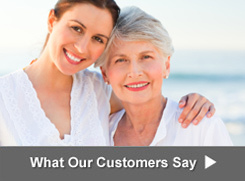 Please contact us for detailed information regarding the regulations of your cemetery. 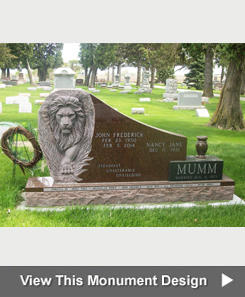 Lawn Level Markers can be made of granite, bronze, or bronze with a granite base. Granite lawn level markers can be made in a variety of colors of granite. 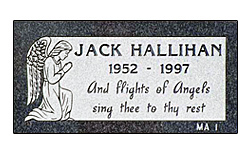 Gravestone prices for single granite lawn level markers start at $705. 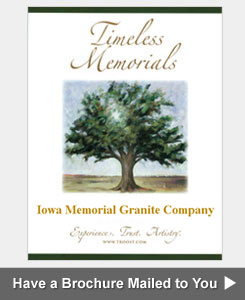 We generally have a selection of specially priced gravestones starting at $505. 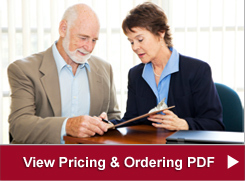 If you have a question about ordering a single marker, call 563-263-5484 or click on one of the 3 links below to get a question answered, request an estimate or request that a brochure be mailed to you.